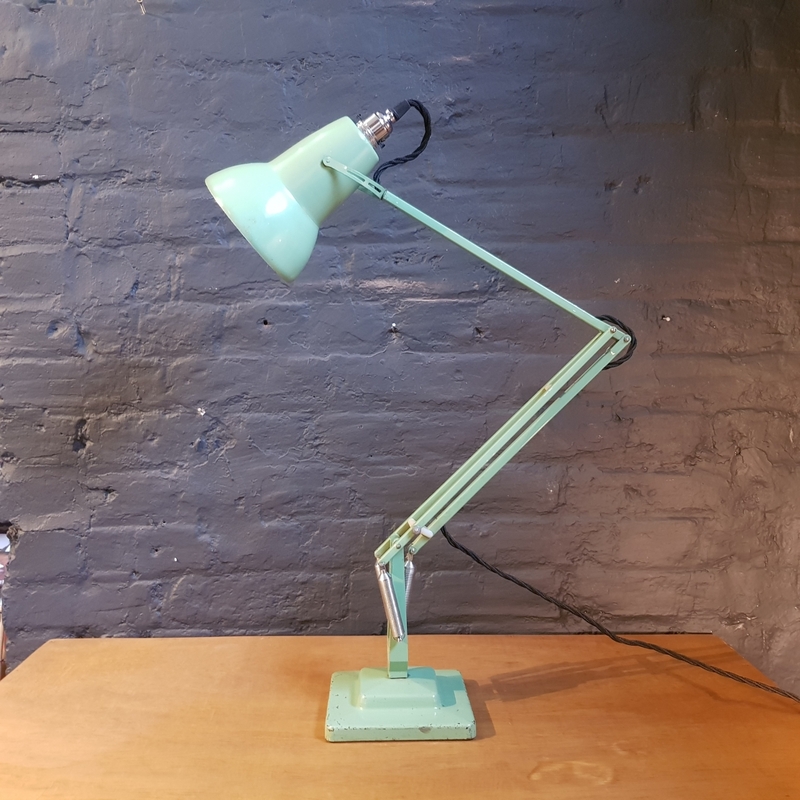 Designed by George Carwardine for Herbert Terry & Sons and made in Redditch, England, this is a lovely example of an original 1930s designed anglepoise lamp. This is the later 1960s model with tulip shade, two stepped base and adjustable springs. In its original lovely pastel green finish. Good vintage condition with just a few scratches in keeping with its age, but nothing major or specific to mention. A timeless classic in a gorgeous colour, very sought-after.